Prague frequently played host to important European artists. Nicolo Paganini, Carl Maria von Weber, Franz Liszt, Hector Berlioz and other luminaries gave concerts here. New composers were primarily supported by the Prague Conservatory(founded in 1811), which organized a number of concerts of new music. Antonín Dvořák (1841-1904) – he became director of the conservatory in New York City in 1892, and subsequently also became director of the conservatory in Prague several years later. He became extremely famous during his stay in the United States. He won a number of important awards and honorary doctorates. 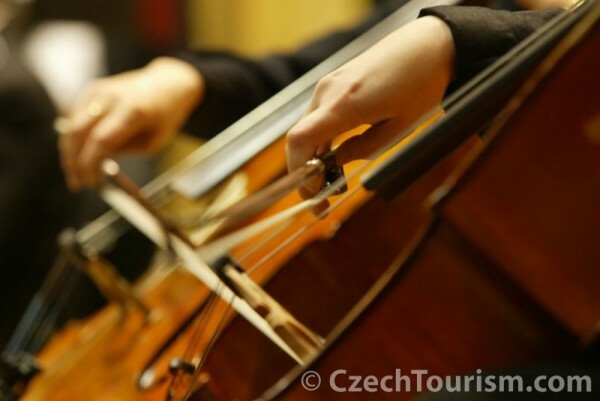 He spent the last years of life in his own country as director of the Prague conservatory. Dvořák’s work is very extensive. Symphonic music is his domain. He wrote many symphonic poems, a portion of which were inspired by Kytice (The Bouquet) written by the poet Karel Jaromír Erben. His two sets of Slavonic Dances are even more celebrated. Originally, the cycle of dances for piano for four hands was written, at the instigation Dvořák soon orchestrated them for a symphonic orchestra. A trio of world-renowned compositions also comprises the concertos in A major for violin, in B major for cello and in G major for piano. Of course, his Ninth Symphony also belongs in this company. Dvořák wrote 10 operas for the stage, the most successful of these to this day is Rusálka.